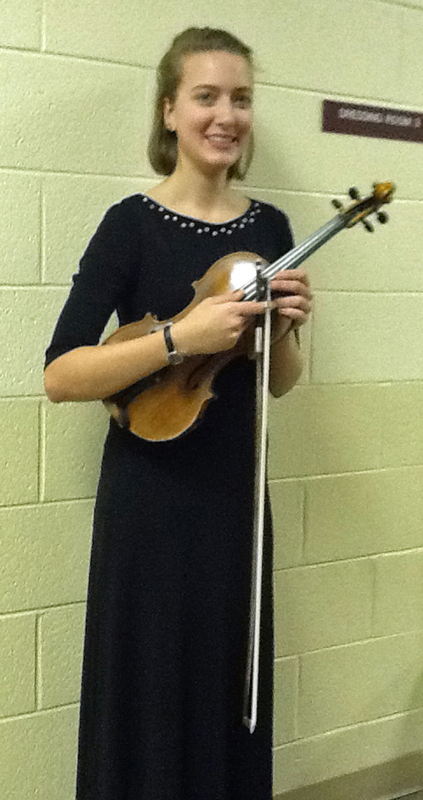 Laurel Brooke is the Concertmaster of the Roanoke Youth Symphony Orchestra. She is eighteen years old and has been playing violin since she was eight. She first started with Mike Mitchell at Floyd Music School, learning bluegrass and classical under him for five years. Laurel joined the RYSO when she was twelve and her favorite memories with the youth symphony are the three side-by-side concerts she has done with them, as well as the RYSO camps each summer, providing intensive musical experiences. Laurel is a senior at Floyd County High School, where she enjoys being a part of science MACC, Students for Students, and the National Beta club. Laurel currently studies with Benedict Goodfriend. As she prepares for Conservatory auditions next Spring, Laurel will continue to study violin with Bendi and plans to study music theory intensively with David Oakes and Jeff Midkiff. She is the recipient of the David Wiley Sr. Scholarship from Virginia’s Blue Ridge Music Festival.